For an e-commerce business to be successful in India, you need scale. And to build scale, you need a lot of capital. And if its e-commerce in electronics products, you would need to invest several millions of dollars to put up an electronic storefront and service an ever-demanding customer who are spoilt for choices in the offline market in any case. At the recent e-commerce investment forum conducted by VCCircle in Delhi, the audience as well as the panel on e-commerce in electronics were of the opinion that you would need anywhere between $25-50 million to build and sustain an e-commerce business in electronics products. 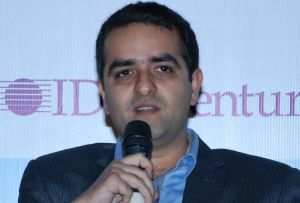 Hitesh Dhingra, Co-founder and CEO of the New Delhi-based start-up Etree Marketing Pvt Ltd, which runs the consumer electronics e-commerce portal Letsbuy.com, was one of the panelists at the conference. Dhingra, who raised $6 million in its first round of venture capital from Accel Partners, Helion Ventures and Tiger Global in January this year, says his company is investing at least $2-3 million in scaling up infrastructure and improving delivery time to Indian buyers. Etree was founded in July 2009 by Dhingra (who was co-founder of online advertising firm Quasar Media Pvt Ltd and Tyroo Media) and Amanpreet Bajaj (formerly with Ernst and Young). In May 2010, Etree received an undisclosed sum from angel investors. The company remained small till it received its first round of VC funding. From a 12-member team in December 2010 (the company announced VC round in January 2011), the company has expanded to 82 people currently, and will add another 18 by the end of June. The company currently has three sourcing hubs -Mumbai, New Delhi and Bangalore. The company is now establishing six more warehouses in Punjab, Haryana, UP, West Bengal, Orissa and Tamil Nadu. Sourcing from local hubs in these nine states will further reduce prices for customers of Letsbuy.com, says Dhingra. All of which shows that money power coupled with execution will decide the future of one's growth in e-commerce. Investments in setting up large warehouses (each covering an area of 10,000 sq. ft.) are done to reduce the turnaround time when it comes to delivering consumer electronics goods, communications devices and other popular gadgets like computers. While it used to take 72 hours to dispatch a gadget, setting up of regional warehouses will reduce it by 24 hours for 85% of the orders. This will translate into better delivery time for Letsbuy.com, which now competes with the 24-48 hour delivery time frame of larger and mature e-commerce portals like Flipkart.com and Infibeam.com. "In metros, we are now able to deliver gadgets within 48 hours and in non-metros, it takes us 3-4 days to reach the buyer," said Dhingra. As of now, nearly half the orders placed on Letsbuy.com are from buyers located in Maharashtra, Karnataka and Tamil Nadu. Buyers from metros log onto e-commerce websites to purchase gadgets. And the market opportunity is huge, affirmed Dhingra. "On an average, families in NCR spend approximately Rs 6 lakh every three years. And this is mostly spent on consumer electronics goods used at homes. People buy as many as 55 gadgets with an upgrade/replacement term of 3 years," he added. Etree is also planning to relaunch its website with more content and category pages. "We want to be the final destination for buying consumer electronics online and we are planning to add more features that will allow users to read reviews, conduct research and make buying decisions," elaborated Dhingra. With the new warehouses and increased reach, the e-commerce site will be able to reduce the prices further by saving on local taxes such as VAT and OCTROI imposed by state governments. "We are optimising purchases by sourcing the gadgets with the lowest VAT or service taxes. This is now possible as we can source goods from different locations, conveniently store them in warehouses and ship them to users at the earliest. In fact, we are able to transfer these savings to buyers and offer them best prices," said Dhingra. Etree's first online marketing campaign for drawing more users to Letsbuy brand will begin in April. The company is also implementing enterprise resource planning (ERP) software and has chosen Microsoft's Dynamics NAV (formerly Navision) solution to help it scale up. Other major e-commerce sites that sell consumer electronics online include Flipkart.com, Infibeam.com, Buytheprice.com, Futurebazaar.com by Future Group, eBay India, Gadgetsguru.com and Indiaplaza.in. Deal sites such as Snapdeal and Groupon India are also providing discounts on gadgets such as mobile phones and thus offering further competition.